Data scheduled for release on Thursday shows Amazon overtook Google in product searches. About 54% of product searches began on Amazon in the second quarter of 2018, up from 46% in 2015. Jumpshot’s Competitive State of eCommerce Marketplaces Data report analyzes anonymous consumer visits and transactions for different brand categories on mobile and desktop devices across 500 e-commerce sites and marketplaces. 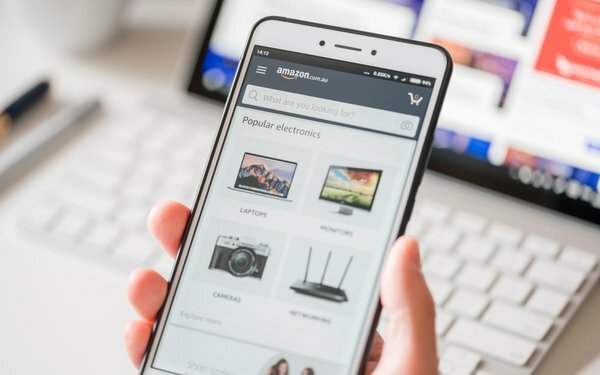 The findings suggest about 90% of all product views on Amazon result from a product search and not merchandising, ads or product aggregators. Amazon search result placement is vital for product views. In fact, the fourth-ranked product spot generates more views — 7% of all clicks — than the No. 2 and No. 3 ranked spots at 5.7% and 5.2%, respectively. More than two-thirds of all product clicks come from the first page of Amazon results, and one-third from the first two rows alone. Search-to-purchase data also shows that 35% of Google searches, and less than 20% of Amazon searches, led to a transaction within 5 days. Across all categories, Amazon search averages 25.9 days from search to purchase. Google search averages just 19.6 days. Despite Amazon’s dominance of more than 80% market share across numerous categories, it doesn't seem to have room to grow. Walmart is growing 3.5 times faster than Amazon. According to the data, Amazon’s market share has plateaued. The data shows that Amazon's growth is 1.7 times slower than individual category growth patterns year-over-year (YoY). While Amazon saw an average of 20% growth YoY across various categories, sales across marketplaces for these same categories grew by 32% on average. The data also suggests that Amazon lost more than 10% of market share across many categories, Walmart is growing more than 2 times faster than individual categories across the board, except in Women’s Clothing.